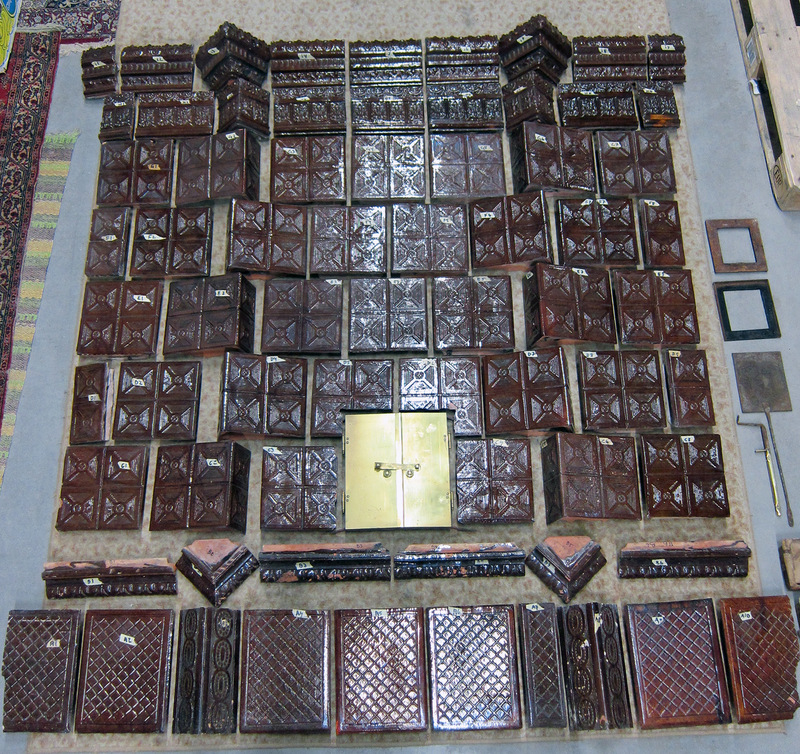 Dark brown, handmade tiled stove with ornamented tiles. Circa 1860. 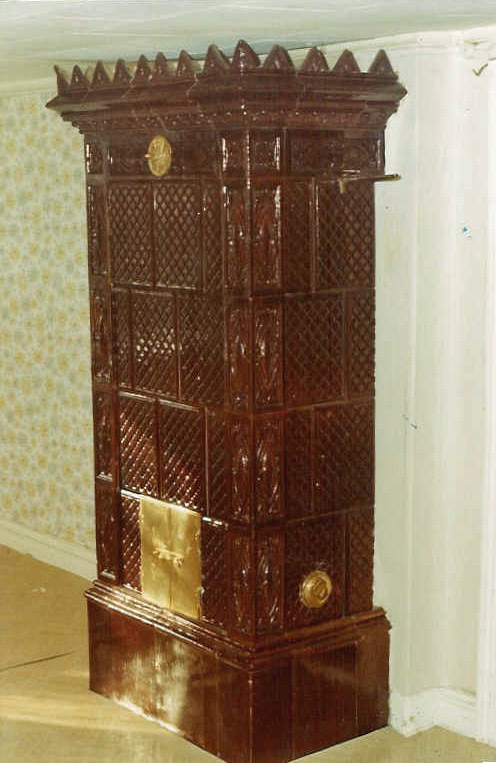 Height 195 cm, socle 105×55 cm.